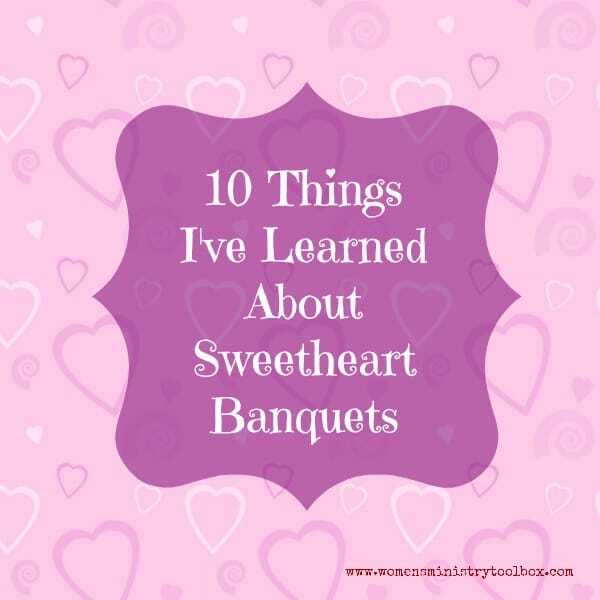 Over the years I had the opportunity to help plan a few Sweetheart Banquets at our church. Our women’s minstry team would partner with the men’s ministry, but honestly the women did almost all of the planning. We’d divy out a few tasks to the guys. We had some big hits and a few misses. I hope this list will help as you plan your sweetheart banquet. Men should not be sent to plate the food for their wives as they will scoop generously – see #2. And, yes, we really did run out of some of the food. The worst part was one of our Pastor’s got one of the plates that was lacking. We learned to serve the staff first! why are romantic favors a bad idea?